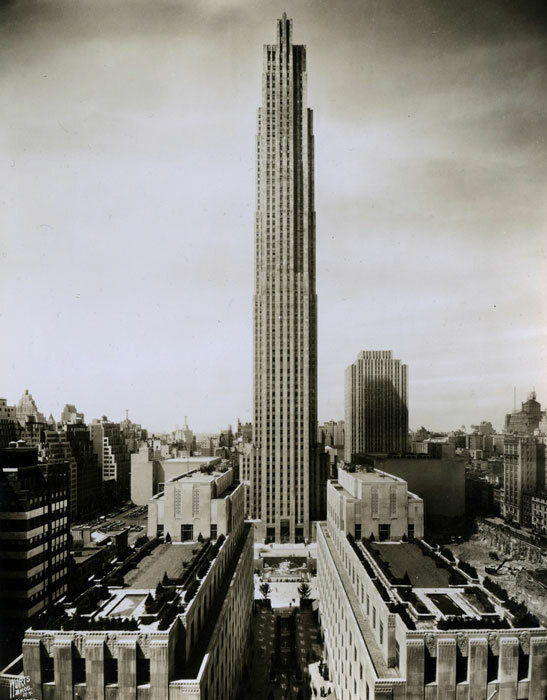 Rockefeller Center, 1934. Museum of the City of New York, Wurts Bros. Collection. 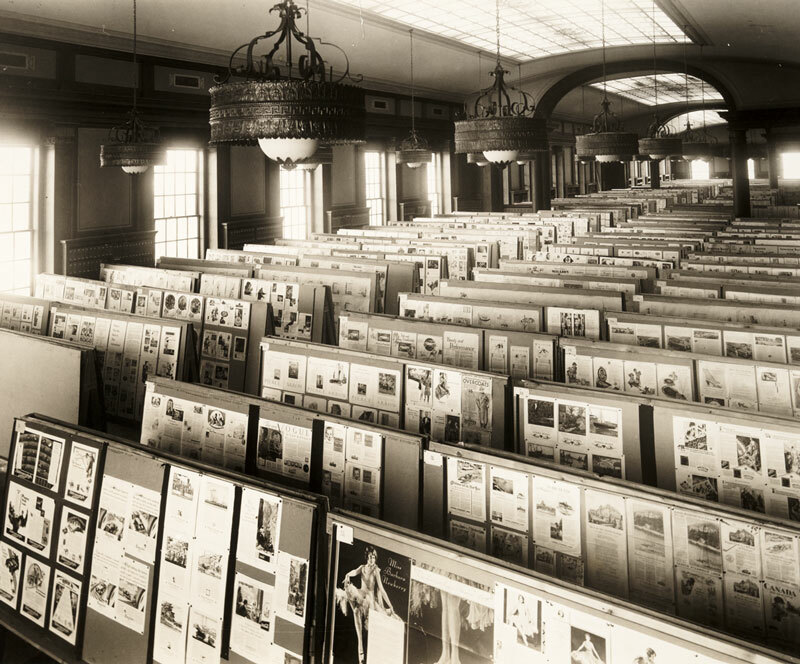 Photograph of The Lakeside Press Galleries, Chicago, [1930s]. 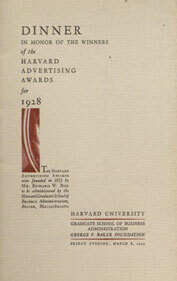 1928 Harvard Advertising Dinner Program. HBS Archives Vertical Files. Harvard Advertising Awards Posters, 1930. HBS Archives Photographs: Subject Files & Events. 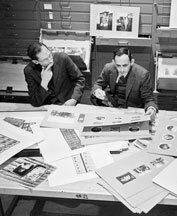 Photo of Arthur D. Trottenberg with Davis W. Pratt, December 1966. 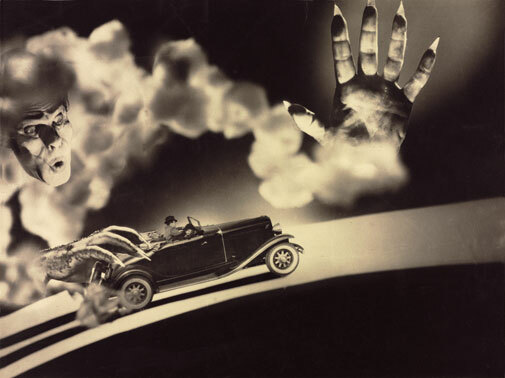 When the 1934 NAAI and Photographic Illustrators, Inc. exhibition opened in the mezzanine gallery at 30 Rockefeller Center and visitors gazed upon advertisements for Lucky Strike cigarettes or fashion spreads for Harper’s Bazaar, the images they saw were presented in the context of fine art. They were works, The New York Times explained, “of a high standard of artistic merit, judged by professional photographic standards, as well as a respectable level of proved commercial value.”23 The exhibition represented one of many shows of its kind sponsored by camera clubs, salons, and art organizations in the 1920s and ’30s. 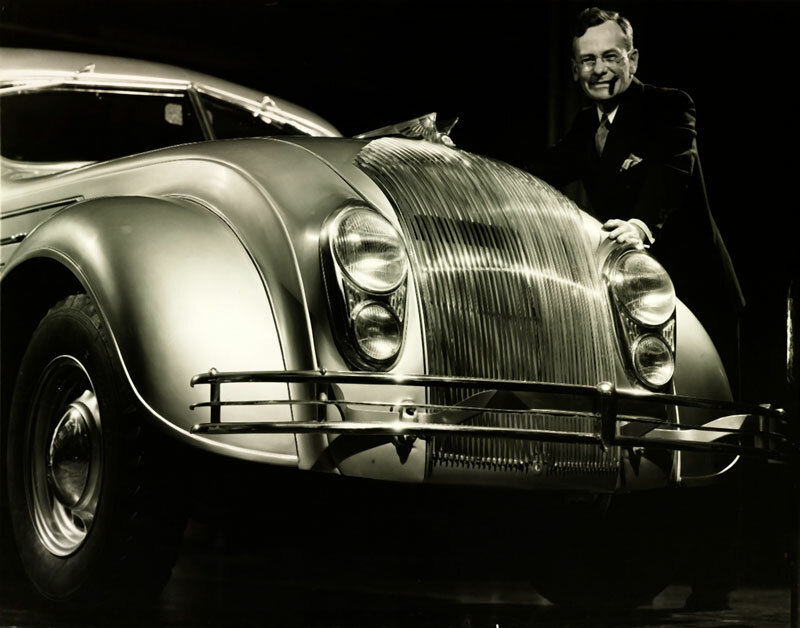 Eager to elevate the industry’s reputation, advertisers also supported and promoted exhibitions like those produced by the Art Directors Club of New York, which tried to strike a balance between art and business. The venues confirmed commercial images as art and offered a prestigious social milieu that brought together photographers, executives, art directors, and socialites. 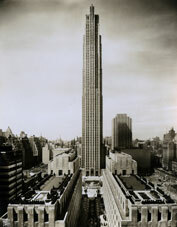 In New York, the mission of the Art Center, a federation of seven societies including the Pictorialist Photographers of America, was “to foster American expression in the arts” with an emphasis on industrial and commercial arts.24 The Center hosted several shows including “Foreign Advertising Photography” in 1931, which introduced viewers to international trends. 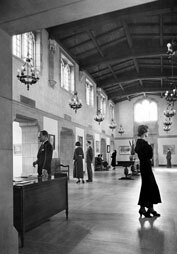 In 1932 the Center mounted its “First National Exhibition of Photographs for Commerce, Industry, and Science.” That same year, the newly formed National Alliance of Art and Industry took over the Art Center’s activities. Two years later, the NAAI joined with the Photographic Illustrators, Inc. to sponsor the exhibition at 30 Rockefeller Plaza. After closing in New York City, the NAAI exhibition then traveled to Chicago, another metropolis where the worlds of executives, advertisers, designers, photographers, and patrons of high culture merged. The NAAI show opened in the public gallery spaces at the Lakeside Press Galleries in the flagship building of the renowned printing company R. R. Donnelley & Sons. The Lakeside Press rotating exhibitions were considered equal to those at the preeminent cultural institutions in the city, such as the Art Institute of Chicago. The Art Institute sponsored the Chicago Salon, the first photographic salon in the area, which also featured exhibitions in advertising art during the 1930s. 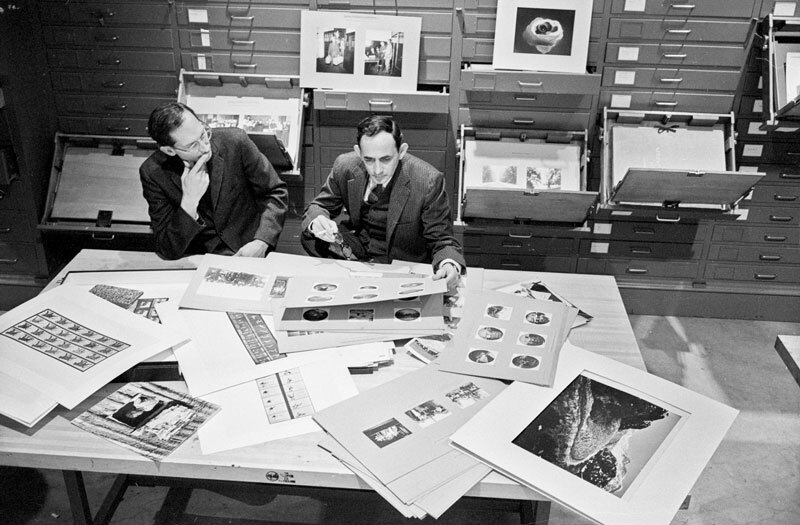 Pratt also undertook an early survey to locate photographic collections throughout Harvard. Through efforts such as these, the University began to uncover a wealth of images in its repositories. Pratt’s work was at the forefront of a growing trend over the next several decades as cultural institutions across the country began to reassess the inherent value of photographs as aesthetic works, documentary records, and primary research materials. In 2008 the NAAI photographs returned from Harvard’s Fogg Art Museum to the newly renovated Baker Library |Bloomberg Center. The move represented part of a multi-year initiative of the Library’s Historical Collections Department to identify, catalog, and preserve its rich photographic collections and to make them accessible to business school communities and scholars across disciplines. The NAAI collection has come to exemplify a dynamic synergy between photography and corporate culture, illustrating the inventive visual language artists were exploring, the social and material ideals to which advertisers hoped consumers would aspire, and changing ideas about the interrelationship of fine art and commercial photography. Across more than seven decades, the collection has traversed the worlds of advertising, art, and education and served many purposes and patrons—manufacturers, advertisers, artists, historians, educators, and students of business, art, and culture.34 By removing the photographs from their original, commercial context, the 1934 NAAI venues in New York and Chicago affirmed the works as high art. Arriving at Harvard with this imprimatur, the images were assimilated into the business archive at a time when the profession of advertising was capitalizing on the use of fine art as an effective sales vehicle and discovering its potential to elevate the industry’s own standards and practices. The circuitous route of the collection within the University—from business archive to “art” collection and back again—reveals as well a deepening appreciation of photography as a significant form of cultural expression. “Art Centre Forms A New Corporation,” New York Times, March 26, 1932. Official Register of Harvard University: Graduate School of Business Administration. v. XXIX, no. 28. Boston, MA: Harvard University, June 22, 1932. “Harvard Couples Art and Industry,” New York Times, June 19, 1932. 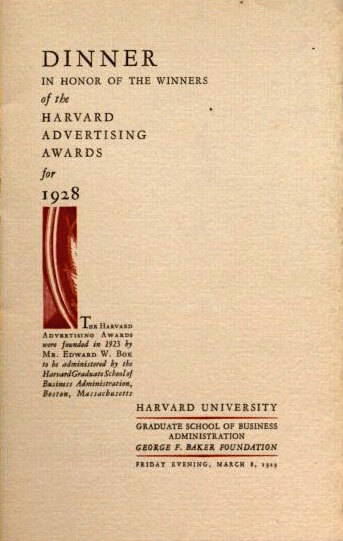 The Harvard Advertising Awards were distributed from 1925 until 1930, when a private foundation took them over. Jeffrey L. Cruikshank, A Delicate Experiment: The Harvard Business School, 1908-1945. Boston: Harvard Business School Press, 1987, p. 168. Harvard Graduate School of Business Administration. “Harvard Advertising Awards.” Barton, Durstine, & Osborn, Incorporated, New York, 1925. Wallace Donham, in Jeffrey L. Cruikshank, A Delicate Experiment: The Harvard Business School, 1908-1945. Boston: Harvard Business School Press, 1987, p. 168.